The Funghi Ripieni reminded me of a Spanish tapas dish, just because it was served in a little clay pot. This starter of stuffed mushrooms was lovely and it was in a rich tomato sauce. I’m not too sure what the mushrooms were stuffed with but they were very tasty. The deep fried calamari was another good starter. The rings of calamari were not greasy and went well with the tartare sauce and the sweet chilli sauce. Now onto La Porchetta’s pizzas. The Vegetariana pizza was a tomato based pizza. It said on the menu that it had mixed vegetables for the topping, so I wasn’t sure which vegetables I would be getting. The pizza did not disappoint. 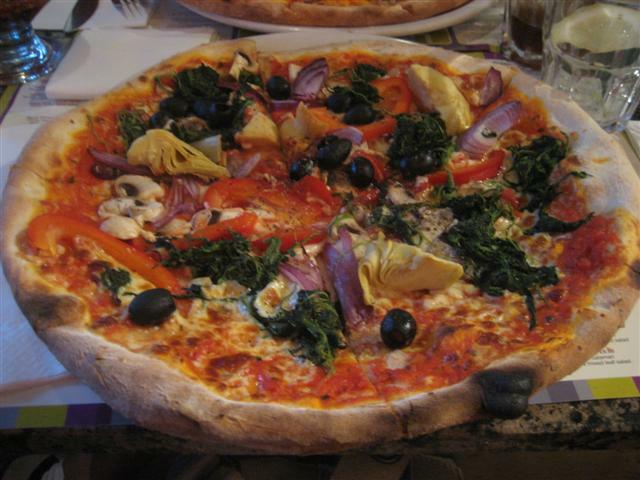 It was generously topped with spinach, olives, artichokes, and peppers. The tomato sauce was flavoursome and the pizza base was cooked to perfection. The staff were friendly and helpful. 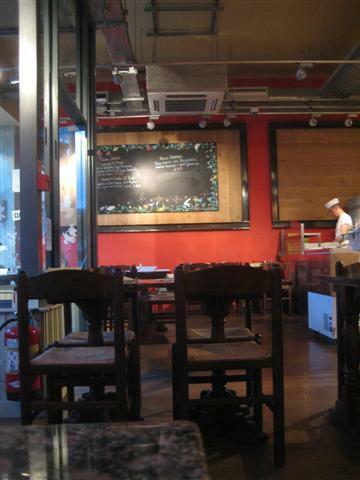 They did not rush us and also did not mind when we asked if the pizzas could be sliced before they were brought out. 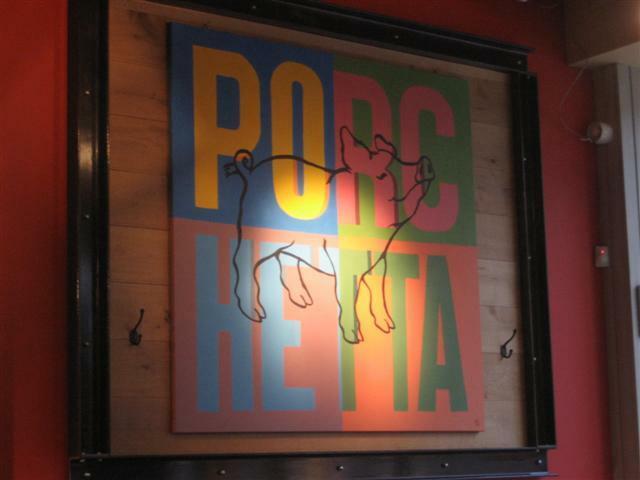 La Porchetta does great food and also has a good atmosphere. I’m never disappointed with the quality of the food at this restaurant and by looking at how busy the restaurant usually is, it seems that it has a lot of other customers who also enjoy dining here.